The Marlins have traded Kyle Barraclough to the Nationals in exchange for international slot money. Barraclough was dominant for the early part of the season before hitting the skids in the second half, ultimately finishing with a 4.20 ERA and 1.33 WHIP. 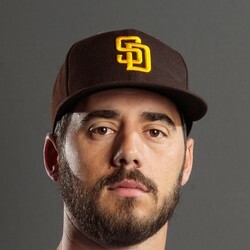 Unless the Nationals add to their bullpen, Barraclough, who is under team control for three more seasons, will be in the mix for saves.